Bath bombs are easy to make and are always well received as gifts. They’re made of ingredients that will make your bath water fizz and smell delicious by releasing essential oils. 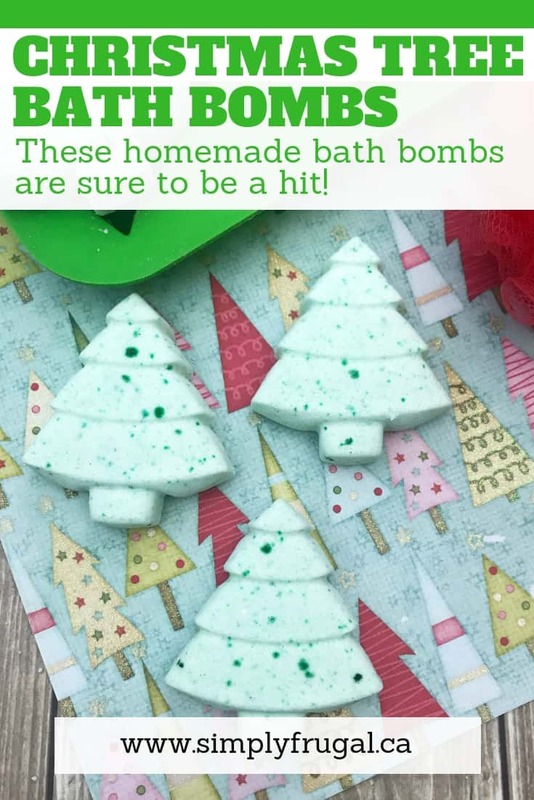 These Christmas Tree bath bombs can be made in just a few minutes even by beginners. They’re also the perfect size for putting into organza bags to give as gifts over the holidays. Combine the baking soda and citric acid. Add in water a little bit at a time and combine to mix using your hands. You want it slightly dense but not soaked through. Add in several drops of green food coloring and use your hand to thoroughly mix. Spoon the mixture into the Christmas Tree mold filling each cavity about halfway. Use your fingers to press down. Spoon the remaining mixture evenly into the cavities and continue to press down. 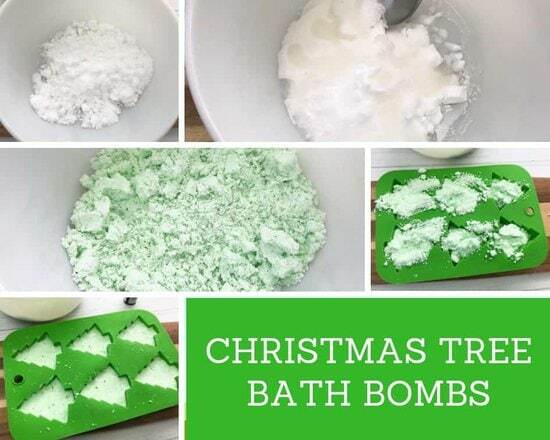 Set the Christmas Tree bath bombs in a cool/dry spot for 24 hours to allow them to set. To use them, just drop a bath bomb into your warm bath water. Watch as it fizzes and dissolves before your eyes while releasing the essential oil.